I’ll be taking part in a debate on CIPR TV next week as part of the Chartered Institute of Public Relations presidential election. 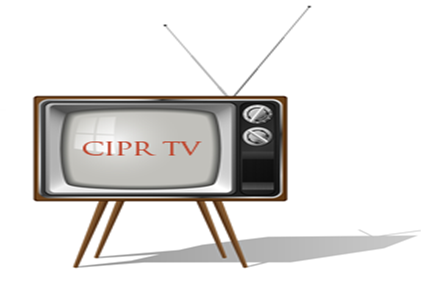 CIPR TV is regular show hosted on the CIPR’s website and by Marketiers4DC. It’s live but also available to watch again. Sally Sykes is the other candidate and we’ll both be taking questions live on Tuesday. Hosting the half hour show will be presenter Philip Sheldrake and the CIPR’s new CEO, Jane Wilson will also be on hand. Jane will introduce the proceedings and ask the first question. As well as the CIPR President-Elect position for 2011, in the biggest slate for several years, there are eleven candidates contesting seven CIPR Council seats being contested. You can see the full list and the candidates statements at the CIPR website. CIPR members have until noon, 19 November to cast their votes. Next week I will be delivering a two day workshop to a group of senior PR and communications professionals in Kuala Lumpur about the impact on new media channels on PR. Using search a Malaysian training and events company called Zanerva found me, researched my background and approached me to put together a bespoke workshop for them. We’ve communicated using only using e-mail and Skype and as a result I will be in the Malaysian capital talking about a global phenomenon. Marshall McLuhan described the idea of a global village in the early 1960s, over four decades later, the duration of long haul flights notwithstanding, the globe is incredibly connected.